According to the royal website, Meghan’s wedding dress has been designed by the acclaimed British designer, Clare Waight Keller. Clare became the first female Artistic Director at the historic French fashion house Givenchy in 2017. 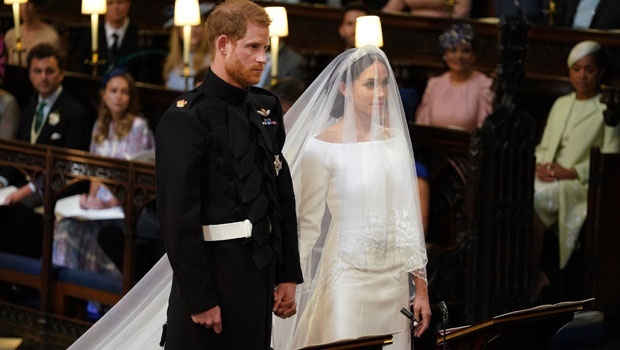 “After meeting Ms. Waight Keller in early 2018, Ms. Markle chose to work with her for her timeless and elegant aesthetic, impeccable tailoring, and relaxed demeanour,” says the site. 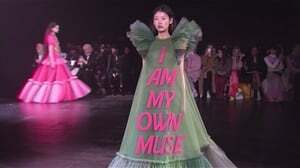 Meghan and Clare reportedly worked closely together on the design of the dress. The dress is made of an exclusive double bonded silk cady and is pure white with three-quarter sleeves. For her veil, “Ms. Markle expressed the wish of having all 53 countries of the Commonwealth with her on her journey through the ceremony,” says the royal website. 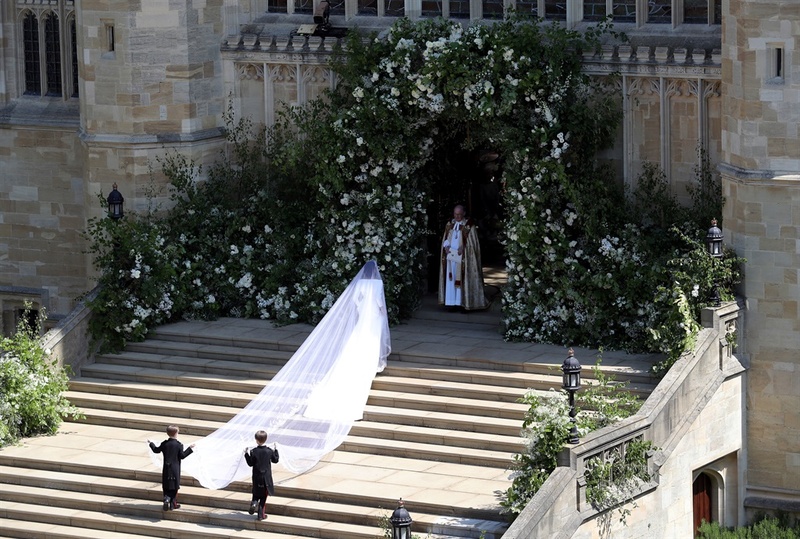 Clare designed a veil with the distinctive flora of each Commonwealth country. 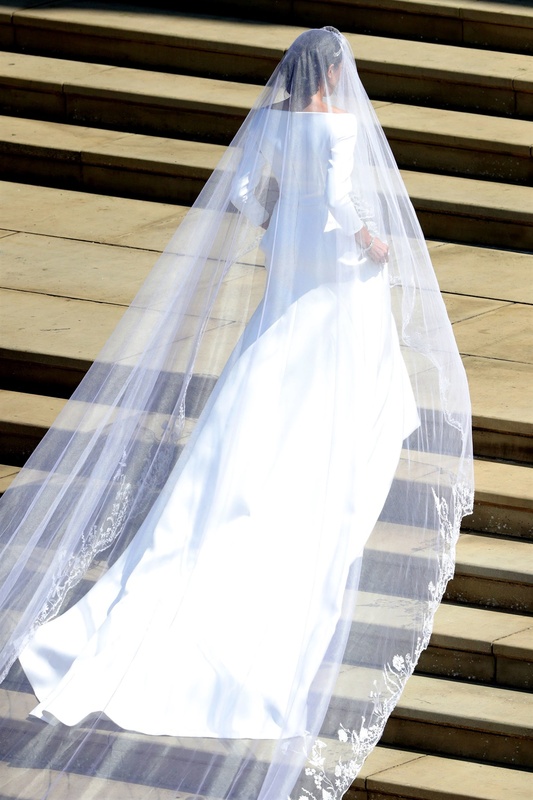 The veil is five meters long and is made from silk tulle with with a trim of hand-embroidered flowers in silk threads and organza. 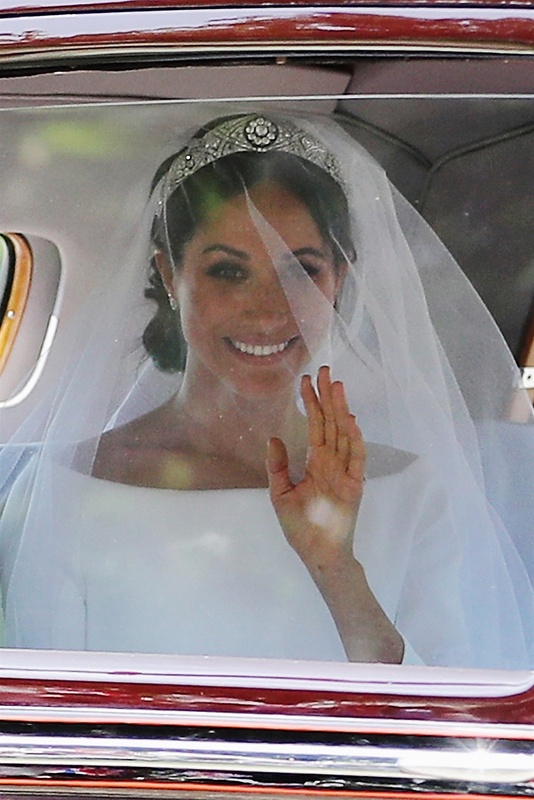 The tiara Meghan is wearing is being lent to her by the Queen and is Queen Mary's diamond bandeau tiara. It is English and was made in 1932. She is also is wearing earrings and a bracelet made by Cartier. Her shoes are made of a silk duchess satin. The young bridesmaids’ dresses are also Givenchy and are made from Ivory silk Radzimir, and is high-waisted with short puff sleeves and hand finished with a double silk ribbon detail tied at the back in a bow. They also have pockets! But that’s not the most special touch – they are wearing white leather Aquazurra shoes; each pair is monogrammed with the Bridesmaids initials, and the wedding date. The four page boys are wearing miniature versions of the Blues and Royals frockcoat. The frockcoats are made from blue doeskin, single-breasted in style with a stand-up collar and completed with figured braiding of Regimental pattern. As a special memento, each Page has their initials embroidered in gold on their shoulder straps.